They may not be the smartest watches in the world – in fact compared to the Apple Watch they are pretty dumb – but their simplicity and vintage looks are undoubtedly their two biggest assets. ShinyShiny reports on the rise of fob watch. 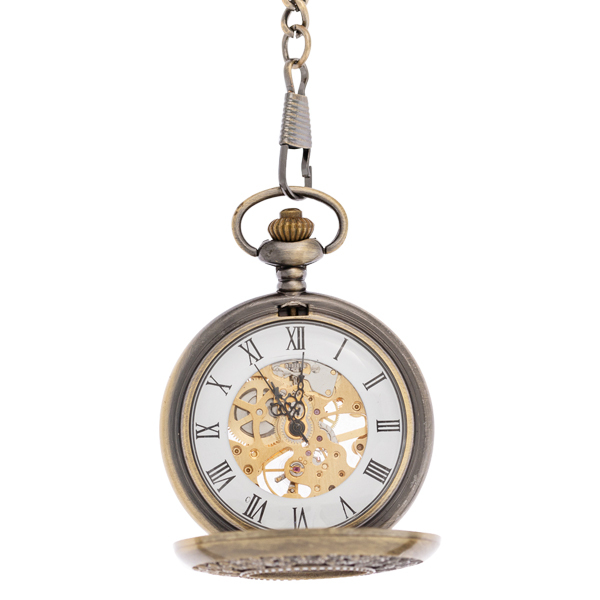 Pocket watches, also known as fob watches, have been around some time. Ever since the 16th Century, small, round timepieces have been an integral part of male fashion as well as a status symbol. However, originally they were too bulky to fit inside a pocket and featured only an hour hand. Things began to change in the 17th Century once England’s King Charles II began to wear his watch in the pocket of his waistcoat. At the same time, the designs started to become more compact and accuracy began to improve. Fast forward to the 21st century and these elegant time pieces are still in vogue today, particularly with hipsters and millennials who like to do things a little differently. Even celebrities have been spotted wearing them including Johnny Depp and Justin Timberlake! Nor is it just men who are getting in on the pocket watch trend. Women are wearing them too – as necklaces, in their jeans pocket, or inside a waistcoat. One company which is at the forefront of the pocket watch phenomenon is Fob & Co, Australia’s home of classic and modern pocket watches. Whether you’re looking for a lasting heirloom or just a fashion accessory to wear on a night out, Fob & Co has got a wide selection of pocket watches to choose from. Each Fob & Co pocket watch is a classic, mechanical pocket watch which doesn’t need its own batteries. Instead the watch works by winding it to get it started, and then the mechanical workings are kept going by your movement. All watches also feature a chain and there’s free shipping in Australia for orders over $60. Or maybe you live in the US? In which case it’s worth checking out the US Fob & Co website. Looking for a pocket watch with a traditional classy cover? Then check out Fob & Co’s Hunter range with various classic designs, many with roman numerals to complete that vintage look. Nurses watches are popular too with several different designs to suit different tastes. Each comes with a chain and can be easily attached to a uniform. 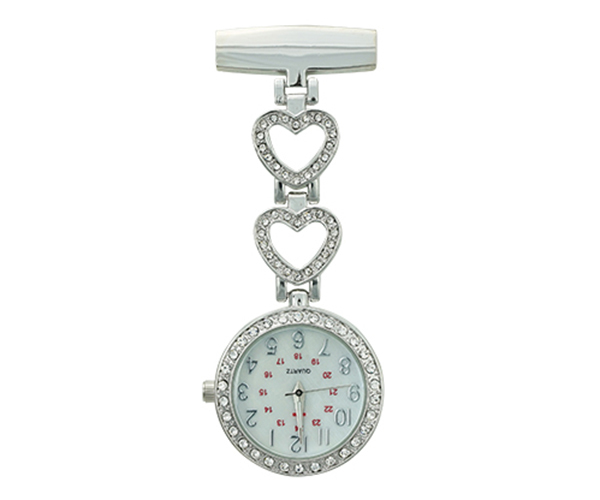 For example there’s the Beatrice Silver Heart and Rhinestone Nurse Watch (pictured above) which is upgradeable with a bamboo display box if you are giving it as a gift. Or how about the small gold red cross fob watch available from here? 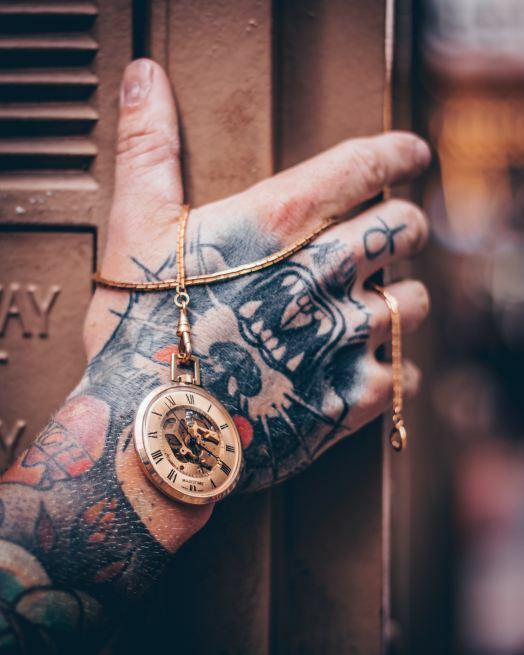 Whether you are hipster, millennial, a nurse or are simply looking for an interesting fashion statement then getting a pocket watch is a great option. They aren’t expensive and they look fantastic. They may not be exactly ‘smart’ but with so much technology in our lives that’s certainly no bad thing.